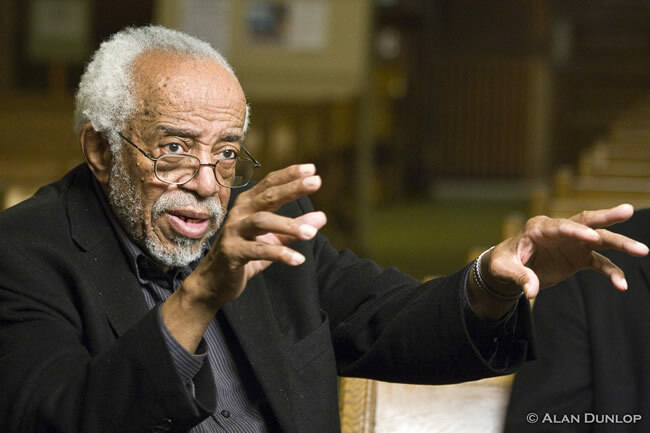 Barry Doyle Harris (born December 15, 1929) is an American jazz pianist, bandleader, composer, arranger and educator and exponent of the bebop style. Harris began learning the piano at the age of four. His mother was a church pianist and had asked if Harris was interested in playing church or jazz music. Having picked jazz, he was influenced by Monk and Bud Powell. Harris was based in Detroit through the 1950s and worked with musicians such as Miles Davis, Sony Still and Thad Jones. Briefly, in 1956 he toured with Max Roach after the group’s resident pianist Richie Powell (younger brother of Bud Powell) died in a car crash. Harris relocated to New York City in 1960, where he collaborated with Dexter Gordon, Yusef Lateef and Hank Mobley. Harris continues to perform and teach worldwide. When he is not traveling, he holds weekly music workshop sessions in New York City and kicks the butts off vocalists, students of piano and other instruments. House Band: George Maclaurin (p), Daniel Yeabsley (b), Mark Lockett (d).